You may have already embarked on a summer vacation yet a musical journey still awaits. Keystone Laboratory brings its adventurous collection of funky, danceable tunes to Downtown Lakewood this Friday, Aug. 19, at 7 p.m. as part of LakewoodAlive’s Front Porch Concert Series. Week 8 of our Front Porch Concert Series brings to the stage Keystone Laboratory. Week 8 brings to the stage Keystone Laboratory. This unique musical act describes itself as “An adventurous psychedelic musical celebration of the roots, and beyond, of American and world music.” The band, which routinely plays Music Box Supper Club in The Flats, consists of Dan Shramo (guitar), Tony Aseff (guitar), Travis Gates (bass) and Tim Lane (drums). Keystone Laboratory takes its musical inspiration from the late Jerry Garcia, the famed lead guitarist and songwriter for the Grateful Dead. The name “Keystone” refers to a small music venue in Berkeley, California, where Garcia often played casually with his friends when he wasn’t on the road touring. Friday’s concert will intertwine Keystone Laboratory’s original music with Garcia’s songs, with both paying tribute to the late musician. 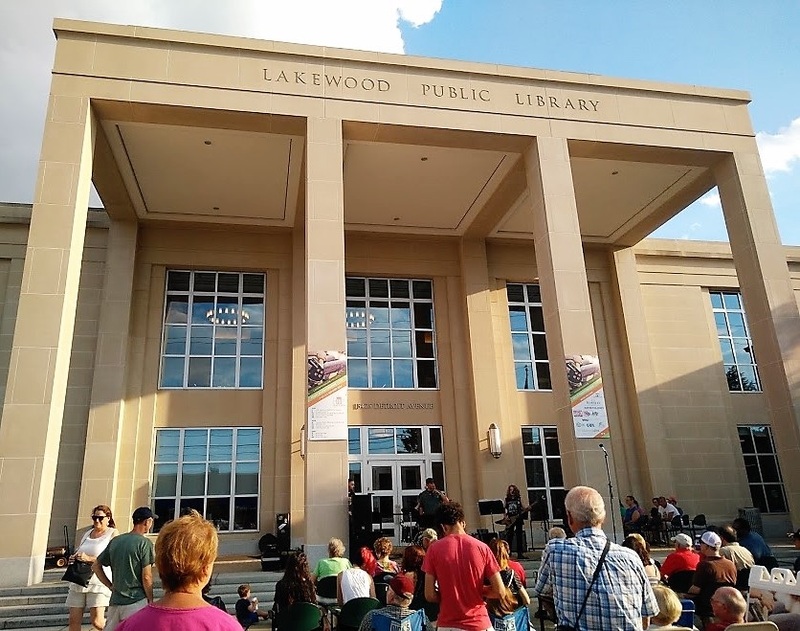 “We pride ourselves on the diversity of the musical styles comprising our Front Porch Concert Series, and Keystone Laboratory provides a perfect example of the uniqueness of these performance offerings,” said Ian Andrews, Executive Director for LakewoodAlive.